Dhahran (Saudi Arabia) (AFP) - Saudi Arabia's King Salman on Sunday slammed Iran's "blatant interference" in the region and lashed out at the US over Jerusalem as Arab leaders met in the kingdom for their annual summit. The 82-year-old monarch dubbed the Arab League meet the "Jerusalem summit" as he took aim at Washington's decision to recognise the disputed city as the capital of Israel and transfer the US embassy from Tel Aviv. The final statement released by the league declared the move "null and illegitimate". 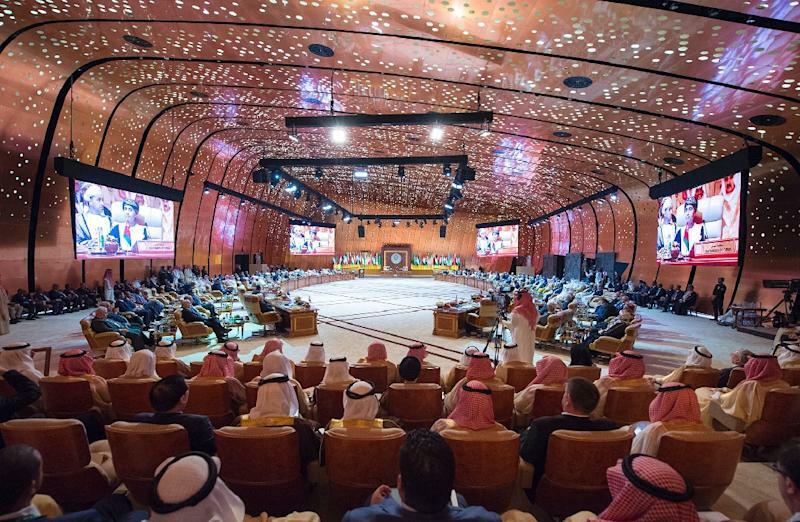 Under the auspices of Riyadh, seventeen heads of state from across the Arab world -- not including Syrian President Bashar al-Assad -- gathered in the eastern Saudi city of Dhahran, home to Saudi oil giant Aramco, as world powers face off over Syria and tensions rise between Riyadh and Tehran. A seat marked "Syrian Arab Republic" sat empty in the hall. Saudi Arabia's king turned his attention with long-time foe Iran -- only 160 kilometres (100 miles) across the Gulf from Dhahran. 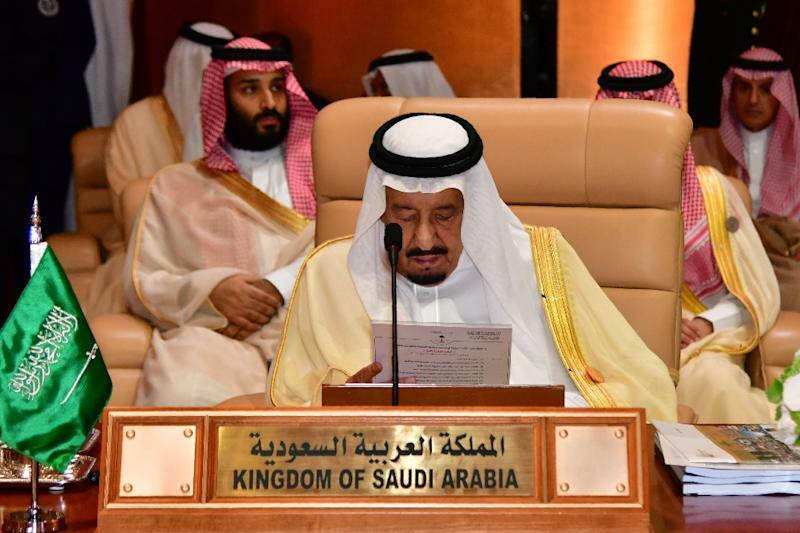 "We renew our strong condemnation of Iran's terrorist acts in the Arab region and reject its blatant interference in the affairs of Arab countries," the king said. And despite being a stalwart ally of the United States, the ruler also criticised US President Donald Trump's controversial decision to recognise Jerusalem as Israel's capital and shift the US embassy there. "We reiterate our rejection of the US decision on Jerusalem," Salman said. "East Jerusalem is an integral part of the Palestinian territories." Saudi Foreign Minister Adel al-Jubeir however insisted Riyadh would maintain "strong, strategic" ties with Washington. "There is no contradiction with having very strong strategic ties with the US while telling your friends where their policy should change," Jubeir said in response to a question by AFP. At a preliminary meeting in Riyadh on Thursday, Arab ministers focused heavily on blocking the embassy move, unanimously condemning Trump's decision and moving to block Israel's bid to secure at seat at the UN Security Council this June. Saudi Arabia's powerful Crown Prince Mohammed bin Salman, the 32-year-old son of the king and heir to the region's most powerful throne, had days earlier said Israel also had a right to its own state during a tour of the United States. 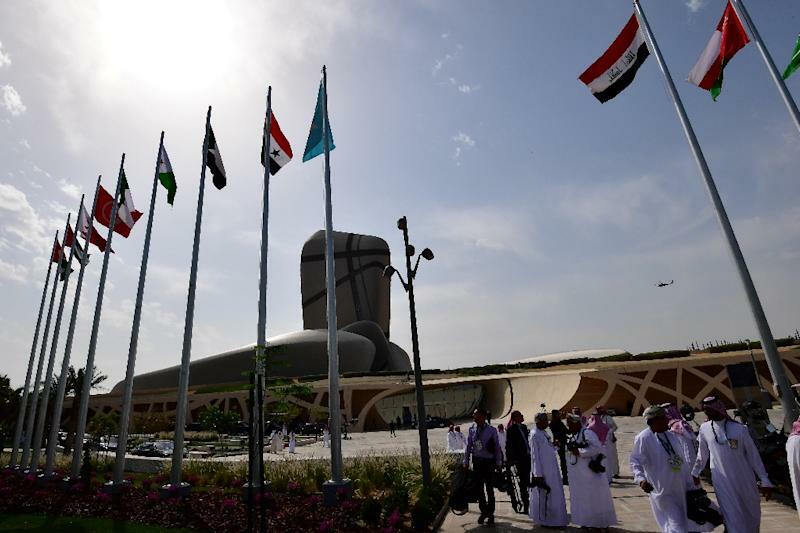 Riyadh and Shiite rival Tehran back opposing sides in a range of hotspots across the mainly Sunni Muslim Middle East, including Lebanon, Syria, Iraq and Saudi Arabia's southern neighbour, Yemen. A Security Council resolution aimed at Iran's failure to block supplies of missiles to Yemen's Huthi rebels, which the insurgents regularly fire at Saudi Arabia, was vetoed in February by Russia. Among the leaders in attendance was Sudan's Omar al-Bashir, who walked the red carpet and was greeted by King Salman. Summits of the Arab League, established in 1945, rarely result in action. The last time the bloc made a concrete move was in 2011, when it suspended Syria's membership over the Assad regime's role in the war.